Northwest Houston facility covers 135,000 square feet and brings U.S. operations under one roof. Mahindra USA, a subsidiary of Mahindra & Mahindra LTD, just opened a new facility in northwest Houston which brings all of its components in the U.S. under one roof. The 135,000 square foot center will house Mahindra USA administrative offices along with the company's national parts distribution center and production line. Managing Director Anand Mahindra says the move "signifies Mahindra's commitment to the North American market," adding "this new, state-of-the-art class A corporate facility will provide the type of working environment that is truly commensurate with being the Number 1 selling tractor in the world (by volume)." 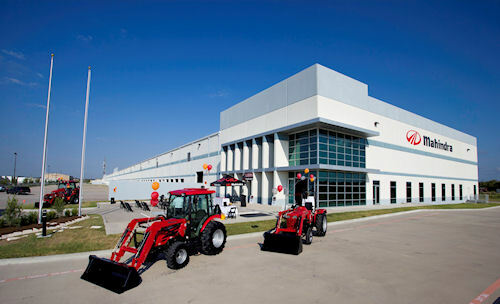 Mahindra USA's new HQ in Houston, Tex., includes administrative offices, the company's national parts distribution center and assembly area.